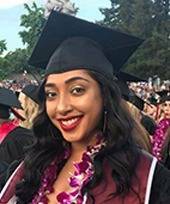 My name is Erica Amaya and I’m a recent graduate from California State University, Chico. Though I recently joined the AES team as the Sacramento Youth Alliance Coordinator, I’ve been passionate about youth voice since my upbringing within lower income Sacramento communities. Throughout the last couple of years of my life I have used my passion for youth voice by volunteering my time within Sacramento and mentoring first generation students through college. Now that I have been presented with this great opportunity as Coordinator, I look forward to giving underrepresented youth the platform they need to speak their truth to power. Through grassroots advocacy, youth in Sacramento will feel empowered to be the voice for the voiceless.